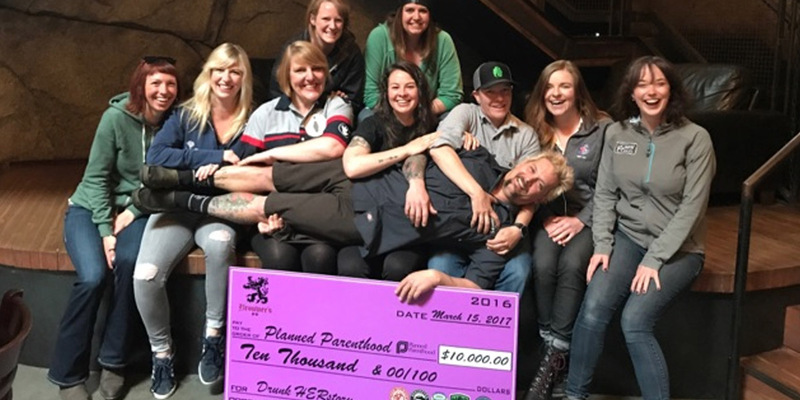 Megan Tufano helps raise $10,000 for non- profit with Herstory Month at Brouwer’s Café in Seattle. It was a heartwarming night, full of beer, laughter and fun, celebrating women and supporting Planned Parenthood! 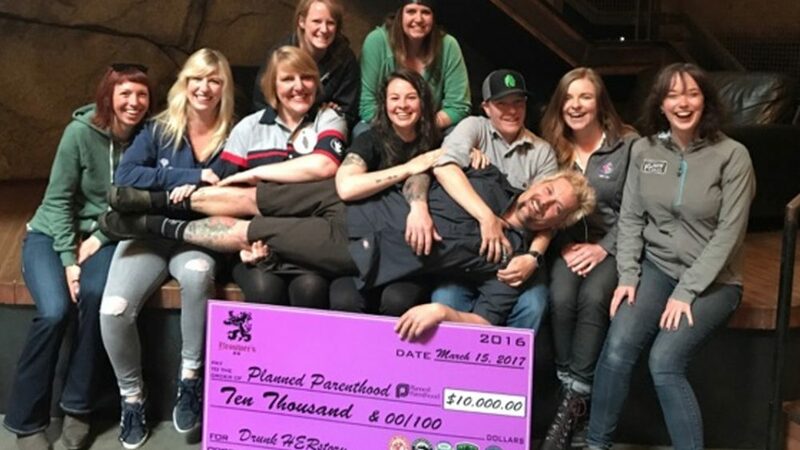 March was Women’s History Month and Brouwer’s Café, in Seattle, hosted a couple of events to highlight some of the women in the beer industry. The evening was full of stories about courageous women in history in hopes that attendees at the event would use those stories to share with other women in the future. Total Beverage Solution’s Weihenstephan, had 2-3 of their beers on draft, and the proceeds from those beers were donated to Planned Parenthood. A: About a dozen women and I are part of a tight knit beer community, where we meet up for a monthly happy hour, share stories, attend each other’s events, sometimes do collaborative events and generally support other women in the beer industry. We even have our own Facebook page, but it’s top secret. Q: What was your role in the event? A: the brainchild for the event was my friend Libby, who works for Ecliptic Brewing; but it was something we had discussed doing for months. When Libby nailed down our date and location, it was all hands on deck for putting it together. Q: Can you briefly explain a little what Drunk HERstory is for people who aren’t familiar with the show? A: Drunk HERstory is based on the cable show Drunk History, a show about our nation’s history, told by an ever-changing cast of actors and comedians, who may have enjoyed a couple cocktails before telling their story. The show travels across the country to present tales that every city in the land has to offer. Booze helps bring out the truth. Q: Any antidotes you want to share from that night? A: Hah, none that I can remember, just kidding. One great thing about the event was the incredible amount of interest and attention the event got. Our Facebook event page had over 3k people interested in coming to the event and the line was two blocks long to get in. Many people didn’t get to see it, so next year, we will be selling tickets to attend! The best part was that we rose $10,000 IN ONE NIGHT!! Q: Why did you want to get involved in this charity? A: All of the women in our group have used the services of Planned Parenthood at one point or another, and it is a charity that we felt is universally important not only for women, but for everyone that needs access to health care and family planning. Q: Why is giving to the community important to you? A: Working as folks that sell beer, our livelihood is based on working with small businesses and small business owners. Part of what we do, is work with these businesses to help them increase their exposure, customer base and be a consultant to them. Businesses that support us by buying our beer are important to us, as well as the people that own them. This truly is a relationship-based business, and giving to the community is an important part of saying thank you. Q: Anything else awesome charity-wise you’re involved with coming up? A: We did a small series of events also for Planned Parenthood about a month ago (still waiting to get the total amount on that). We are also exploring other charities as well, but haven’t committed to anything yet. Q: Anything you want to say about the account? A: Brouwer’s Cafe is not only an amazing beer destination with a world-class selection of local, import and rare beer, but it is also owned and run by great individuals. For the event, they featured two styles of beer from every brewery that participated and they donated 100% of the proceeds from their beer sales to the charity. They went above and beyond for this event and we couldn’t have done it without them!